Be the first to share your favorite memory, photo or story of Barbara "Barb". This memorial page is dedicated for family, friends and future generations to celebrate the life of their loved one. Barbara “Barb” Alexander passed away peacefully on Tuesday April 2, 2019 at her home in Fond du lac. She was born to Sally and Roy McDaniel on May 15th 1957 in Antigo WI. Barb worked several jobs to provide for her children. Many of them were management positions. She loved her job at Blockbuster in Neenah and grew close to her co- workers, who she adored. She was one of the best bakers we knew. It came to her naturally, and she loved sharing her sweets with loved ones and preparing holiday meals for her family. One of Barb’s greatest joys were her dogs. She loved them unconditionally and would do anything for them. She had Panda, Panda #2, Sofie, Coby, Tonka, Bailey and Peaches. She enjoyed spoiling them day in and day out. If Barb wasn’t in the kitchen baking, cooking, or spending time with her dogs, she enjoyed watching the cooking channel and listening to country music. Barb grew up close with her cousins and her baby brother Andy Michalak. She often spoke of the memories she had with her cousins and especially of her aunt Barbara Alsteen, who she was named after. She loved her little brother with all of her heart, and was proud of everything he did with her. They often enjoyed movies and cooking together. Barb also enjoyed spending time with her grandchildren. Barb has 4 children, each of them were special to her in their own way. She was very proud of each one of their accomplishments and spoke highly of each of them whenever she could. Barb’s life ended too soon, but she leaves behind fond memories and has passed her passion for cooking and baking on to her children. Barb will be missed by many, but in our hearts we know she is at peace now, and no longer suffering. Barb is survived by her brother that she loved so dearly Andy Michalak of Menasha. She is also survived by her children, Shannon Benicke of Appleton WI, David Woller of Neenah WI, Stefani (Carlos) Ponce of Fond du lac WI, and Chelsea (Harley) soon to be Dalke of Neenah WI. Barb is further survived by her grandchildren, Ethan Benicke of Oshkosh WI, Trinity Benicke of Oshkosh WI, Trent Woller of Tennessee, Paisley Jane Woller of Fond du Lac, Isabella Padilla, Jasmine Ponce, Liliana Ponce, and Carlos Dominic Ponce, all of Fond du lac, WI and soon to be born baby boy Bentley Trey Dalke of Neenah WI. Barb is survived by many aunts, uncles and many cousins whom she loved dearly. 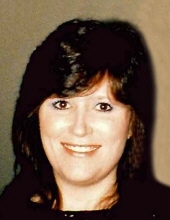 She is also survived by her best friend of many many years Karen Reeves, of Green Bay WI. Barb was preceded in death by her mother Sally, her father Roy and one grandson Carlos Ademar Ponce Jr.
Visitation will be held at Zacherl Funeral Home, 875 E. Division St., Fond du Lac on Saturday, April 13, 2019 from 1:00 to 3:00 PM. A memorial service will be held following visitation. Memorials can be made directly to the funeral home to assist her family with costs of the funeral. "Email Address" would like to share the life celebration of Barbara "Barb" Alexander. Click on the "link" to go to share a favorite memory or leave a condolence message for the family.